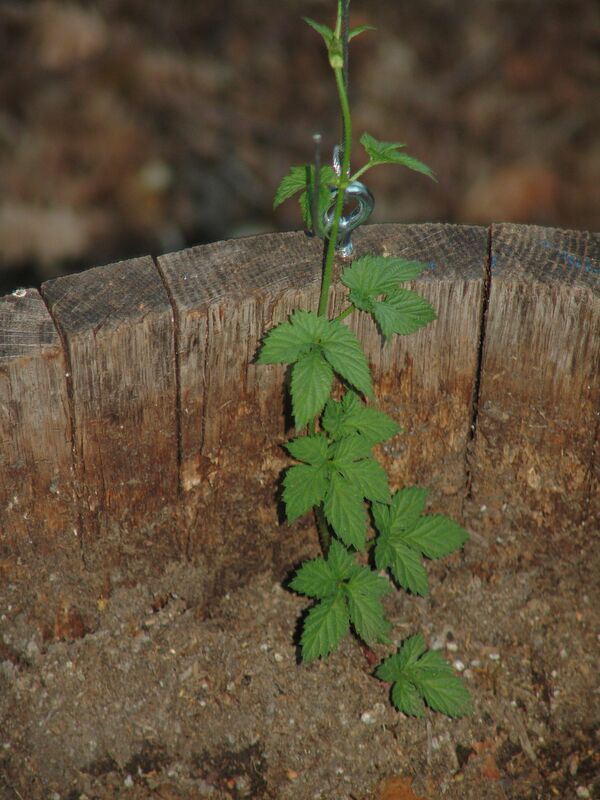 This entry was posted in Homebrewing and tagged Beer, gardening, growing hops, hop rhizomes, Hops, plants by Timberati. Bookmark the permalink. I’ve thought about growing my own hops, but my dog seems to be part cow and likes to eat all the plants in the back yard, and hops are dog poison. Probably your wisest course of action. Apparently there’s a lot of stuff that can hurt our cats and dogs: http://www.scribd.com/doc/51779235/A-Guide-to-Poisonous-House-and-Garden-Plants. The writer, a veterinarian, points to the phenolics in hops as the culprit.